Terra Forming Terra: Controversy Surrounds Artifacts on Azores Islands: Evidence of Advanced Ancient Seafarers? A lot of interesting material here. First off though, the Azores are a natural stopping point for the east west leg of the triangle route that led from Gibraltar to Bimini, from Bimini to Lewis and from Lewis back south to Gibraltar. Millions of pounds of native copper were transported from Lake Superior to the Mediterranean during the thousand year history of the Bronze Age. I suspect that some of this copper was famously known as Orichalcum. So obviously there was a real presence on this island. Yet these are mountain tops of a larger land mass siting on the mid Atlantic Ridge. This land mass rivaled England in size and i suspect that it subsided in 1159 BC ending the Atlantean global 'empire'. On the same ridge we have Lyonese as well which was sized similar to Ireland. I also suspect that the Bahama bank also subsided then as well and it is the size of France. Putting all that aside and knowing that we are high above any potential evidence of any such settlement, what do we have. Those slits look to me to be plank holders. This would allow the building of an above ground platform. Good enough. That shaped hole in rock looks to be some form of mold for pliable organic material. Who knows what for? It was tightly cut which means it was possibly used a lot, possibly for a trade product. All this could also be fairly recent as well. At least they are now allowing real archaeology to be undertaken. The Azores archipelago is about 1,000 miles off the coast of Europe, about a third of the way to North America across the Atlantic. The islands belong to Portugal, and the official historical record has long held that they were uninhabited until Portuguese expeditions colonized them in the 15th century. But a controversial alternative theory is gaining ground. Some experts, including the president of the Portuguese Association of Archaeological Research, Nuno Ribeiro, have said rock art and the remnants of human-made structures on the islands suggest the Azores were occupied by humans thousands of years ago. This assertion is controversial because it has been used to support a theory that a trade route existed between the Phoenicians, the Norse, and the New World—long before contact with the New World is conventionally thought to have taken place. We will explore this theory and its connection to the Azores in more detail later. 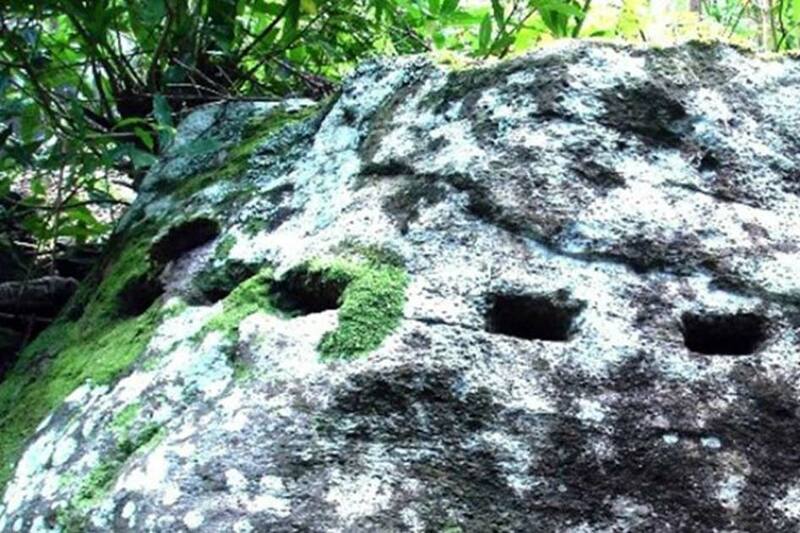 It is also curious that some of the structures appear to be from the Stone Age, suggesting a civilization existed at the time that was advanced enough to travel so far and colonize the remote islands. This is another point of contention. Ribeiro began speaking of his findings in 2010, and thus helped spark a raging debate about claims of ancient settlements on the Azores. The controversy led Portugal’s government to establish an expert commission to investigate further. In 2013, that commission declared that any perceived remnants of an ancient civilization were either natural rock formations or structures of more modern origin. However, Antonieta Costa, a post-doctoral student at the University of Porto in Portugal, remained unconvinced and continued research into the hypothesis that the Azores were inhabited in antiquity and even in prehistory. Earlier this month, Costa had a meeting with the regional secretary of education and culture for Azores, Avelino de Meneses. De Meneses was one of the experts to sign off on the government report denying the antiquity of the artifacts. After years of being denied government permission to conduct archaeological investigations on the Azores, Costa now has some government support for her research. But Costa told Epoch Times via email that de Meneses has now expressed an openness to her hypothesis. After years of being denied government permission to conduct archaeological investigations on the Azores, Costa now has some government support for her research. In 1778, an article by Johan Frans Podolyn in the Publications of the Royal Society of Sciences and Letters in Gothenburg detailed the alleged discovery of Carthaginian coins on Corzo, one of the Azores islands. Carthage was founded in the 1st century B.C. by the Phoenicians in what is now Tunisia, North Africa. A theory (unpopular in mainstream archaeology) holds that the Phoenicians knew how to get to the New World, but they propagated a myth that it was impossible to cross the ocean so they could maintain a monopoly on the trade route. Artifacts in North America, such as petroglyphs found in Peterborough, Canada, have been cited as evidence of this trade route between the Old World and the New. Among the supporters of this theory are the late Harvard biologist turned epigrapher Barry Fell and the late Harvard archaeologist David Kelley. Some scholars have dismissed Podolyn’s account of the coins, saying the coins may have been left there by later settlers in possession of these ancient artifacts, or that they may have been fake. Rumors about a statue found on one of the islands by early settlers have further fueled the theory that ancient settlers were there, though the precise whereabouts of this statue (if it really existed) are now unknown. Costa believes the Azores may indeed have been stepping stones to the New World, noting that some of the markings she has seen on Azores rocks appear similar to those studied by Fell in North America. But, she said, more research must done by archaeologists on the Azores to confirm the similarities. For now, she has her hands full with relatively minor, but still substantial, mysteries involving the artifacts on the Azores. Costa has studied (in the limited capacity she has thus far been able to without official sanction) standing stones, basins, and small openings made in rocks on the islands. The small openings, or slits, in the rocks have conventionally been explained as cuts made by modern settlers to facilitate quarrying the stone. But Costa thinks the cuts would not have helped in quarrying. Instead, she thinks they may be part of a calendar system. She has noticed that whoever made these slits in the rocks avoided aligning them with the cardinal east direction. The slits closest to the cardinal east direction are smaller than the ones facing the other directions. This suggests a methodical alignment of the marks corresponding to direction. But the slits also seem to align with the solstices, suggesting a calendrical function, according to Costa. Inscriptions made on slabs of bedrock on the Azores are also similar to “maps” identified in other Stone Age rock art in mainland Europe, Costa said. Little is known about this relatively new topic of study. Sacred Places Like Those in Ancient Finland? Costa also compares the rock formations on the Azores to those in Lapland, the northern reaches of Finland. On the Azores she has identified basins she thinks were cut in stone for ceremonial purposes near rock formations that naturally look like animals or people. In ancient Lapland, people also performed ceremonies near such rock formations. The article ‘ Controversy Surrounds Artifacts on Azores Islands: Evidence of Advanced Ancient Seafarers? ’ was originally published on The Epoch Times and has been republished with permission.